The saying goes: 'If it ain't broke, don't fix it'. That's in essence what International Game Technology's (IGT) ethos has been with the ultra-playable (and potentially very rewarding) Double Diamond slot. The game was first developed for land-based casinos such as those in Las Vegas, London and Monte Carlo, where it's recognised as one of the world's most famous classic video slot machines. It features a simple layout, intuitive gameplay, classic symbols and a highly satisfying after-effect. The game has payout percentages around 95.4%, with frequent base wins and simple multipliers virtue of iconic win-boosting wilds. If James Bond hit a slot machine before battling baddies on the poker table, you can bet it would be Double Diamond. 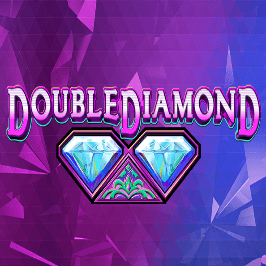 Play Double Diamond for Real Money! 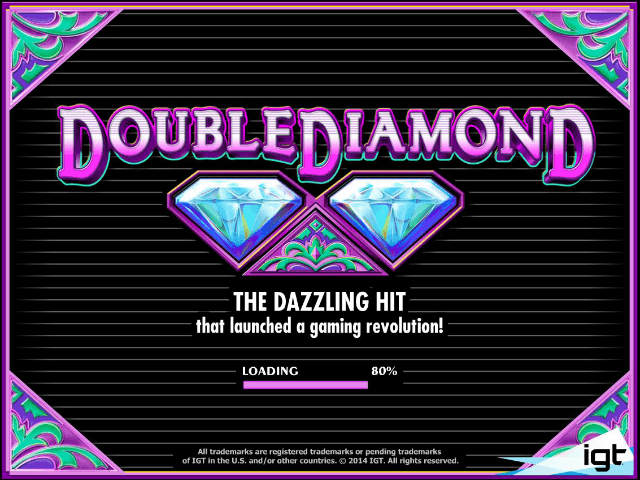 IGT's Double Diamond slot is referred to by the developers as "the dazzling hit that launched a gaming revolution", thanks to its start as an iconic modern-era video slot in Las Vegas. The slot's transition to online casinos has been impressive, retaining the same classic gameplay, symbols and wild payout structure that made it famous. The beauty of the game lies in its simplicity – three reels, one payline, five base icons and the Wild. 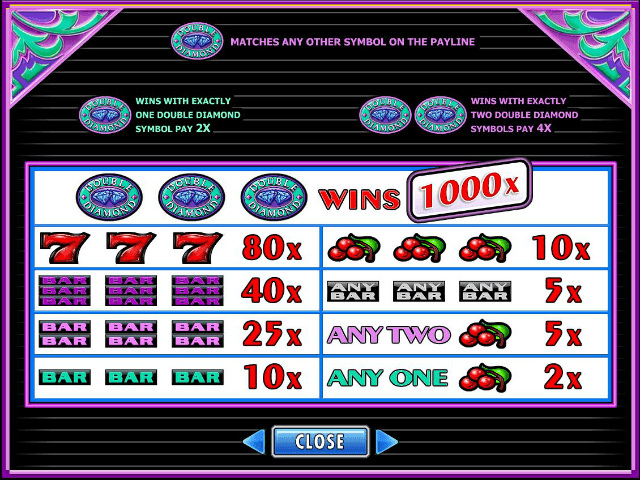 The game's icons comprise of cherries, three different bar symbols and the big-paying 777. The joker in the pack is, of course, the Double Diamond Wild, which can boost wins by 200 to 400%. Although IGT's slot is powered by sophisticated technology to make it super slick and fast, the graphics retain the authentic feel of 'old school' Vegas. 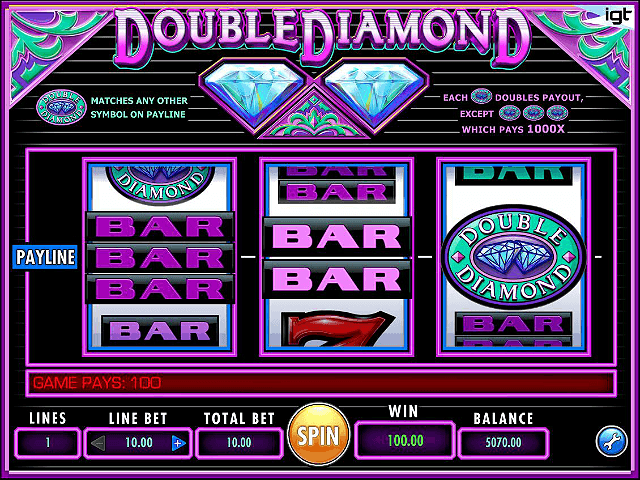 If jackpot fruit machines are your passion, you'll love the look, sounds and gratuitous joy of spinning Double Diamond. 777 + 2 Diamond Doubles = 320x. Setting up your budget correctly can deliver long gaming sessions, offering excellent value entertainment. Although auto-spin can be selected, part of the appeal of Double Diamond is spinning at your own pace. Double Diamond video slot from IGT is a great option if you want to experience the thrill of playing authentic Las Vegas slots online, from the comfort of your sofa. While you may marvel at the sophistication and 3D graphics of today's cutting-edge slots, they'll struggle to match the elegance of Double Diamond. This is a timeless gaming classic that rewards you with satisfying simplicity, lots of small wins and the potential for something special. Share this Double Diamond Review today! 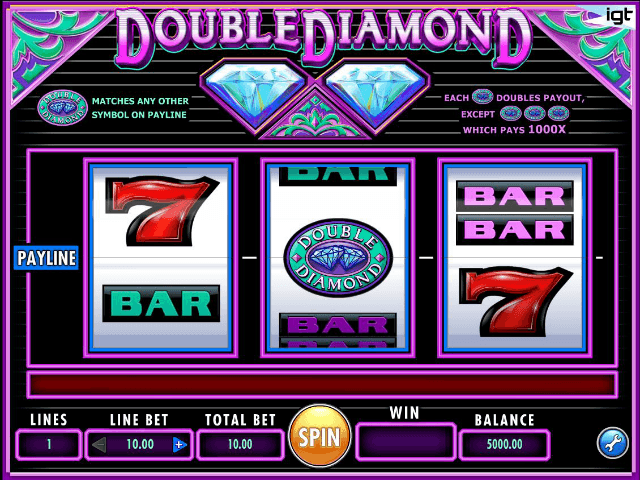 If you like Double Diamond, you'll love these slot titles too!